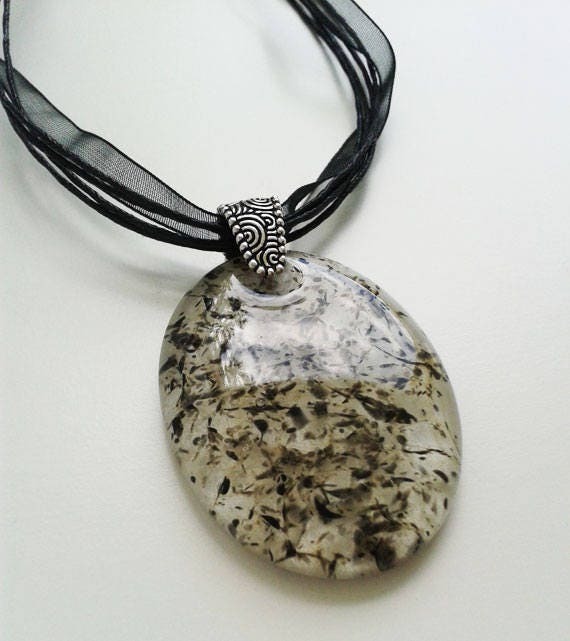 Grey cast glass pendant, made from transparent grey, khaki, clear & black glass. 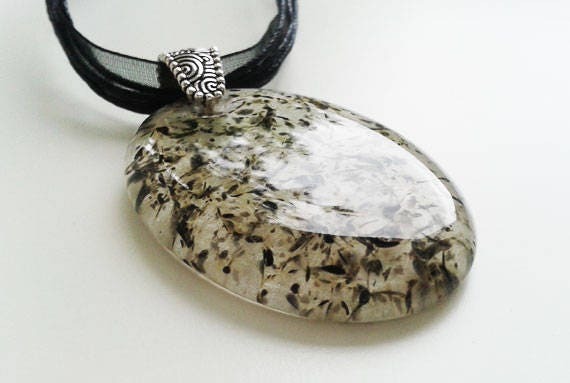 A large, bold pendant, made from a mix of clear, khaki/grey, & black glass cast together in a mould. The khaki/grey is scattered lightly throughout the piece, so it looks as though the clear has been tinted grey. 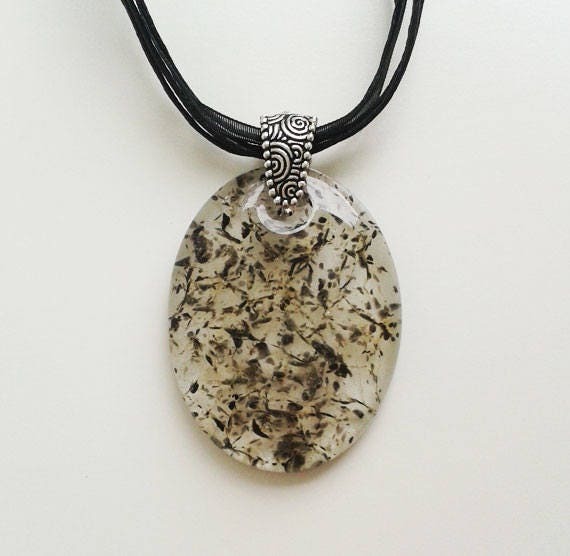 The black splinters show off the depth of the glass and highlight its transparency. 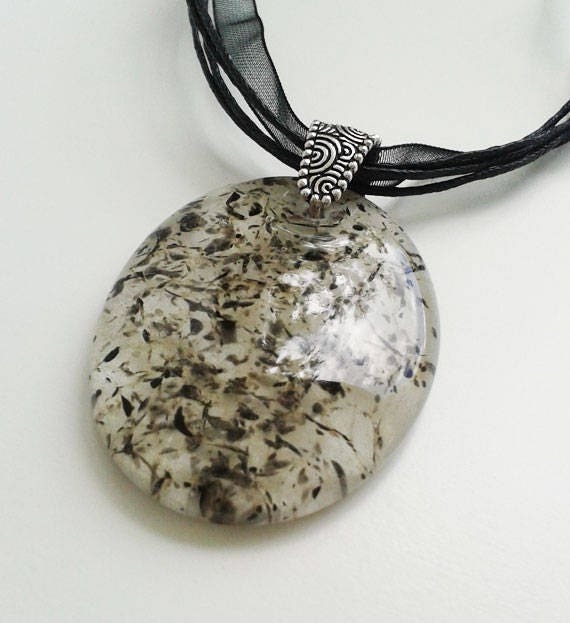 It's about 46 x 36 mm, and hangs from a silver plated bail on a black ribbon cord.